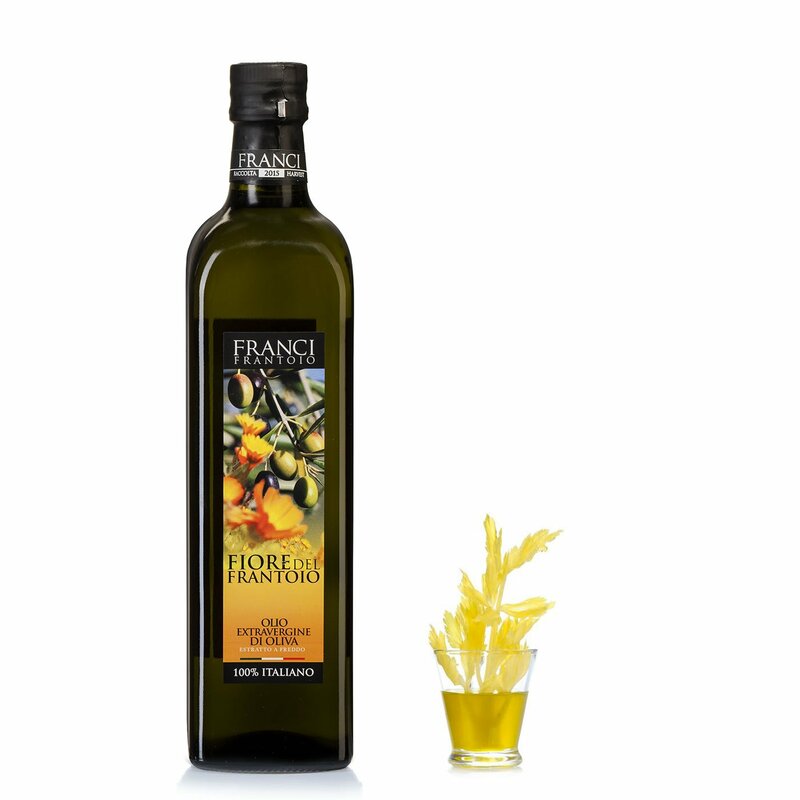 The Fiore del Frantoio Extra Virgin Olive Oil is cultivated on the Tuscan Maremma hillsides. Ingredients Extra Virgin Olive Oil, variety: Leccino and Olivastra 30%, Peranzana, Coratina and Ogliarola 70% For more information on product labels, please contact our Customer Service department. The information on the labels of the products may vary for reasons beyond our control, therefore, there may be discrepancies between the information on the site and that on the products delivered. Please always check the information on the product before consumption or use. 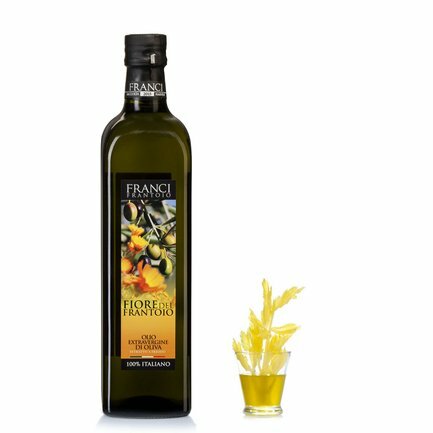 The Fiore del Frantoio Extra Virgin Olive Oil is cultivated on the Tuscan Maremma hillsides and has a light and fruity aroma, is clear and has an intense flavour. Recommended as a condiment for fresh fish or for preparing bruschetta.